Hello lovelies, I make no apologies for posting two bread recipes in a row. 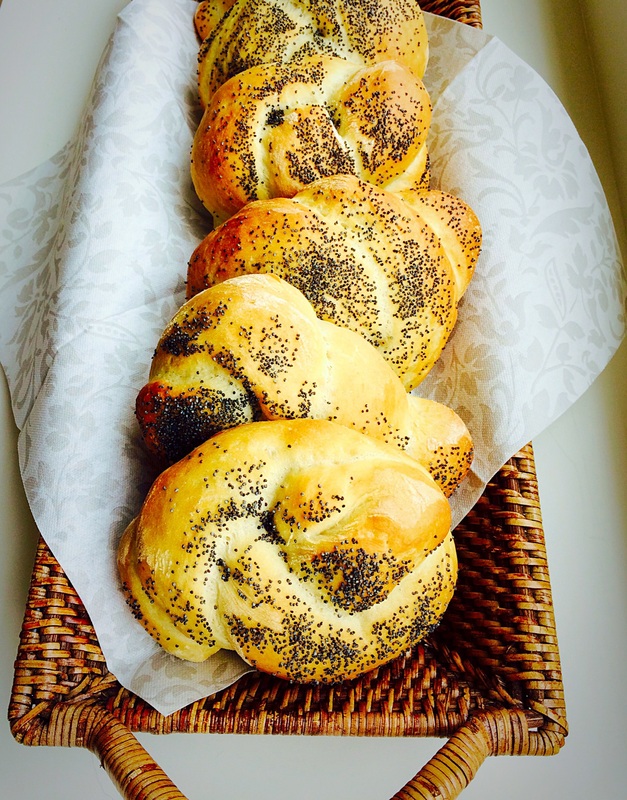 Because….I simply had to share these utterly scrumptious, Knotted Poppyseed Rolls with you as soon as possible! See? They not only look amazing, their taste is absolutely divine. Golden, crusted rolls, sprinkled with poppyseeds and a light, tender crumb within. As an added bonus they are a breeze to make. These Knotted Poppyseed Rolls are pretty enough to grace any dinner table, or equally as delicious filled with your choice of delights, wrapped and popped into a bag for a packed lunch treat! Personally I am looking forward to slathering a roll with butter and enjoying it with Carrot Soup for my lunch. Mmm tasty. I love baking bread and yes it is made a lot easier using a bread maker, or stand mixer. There is a real pleasure to be had by making bread by hand. 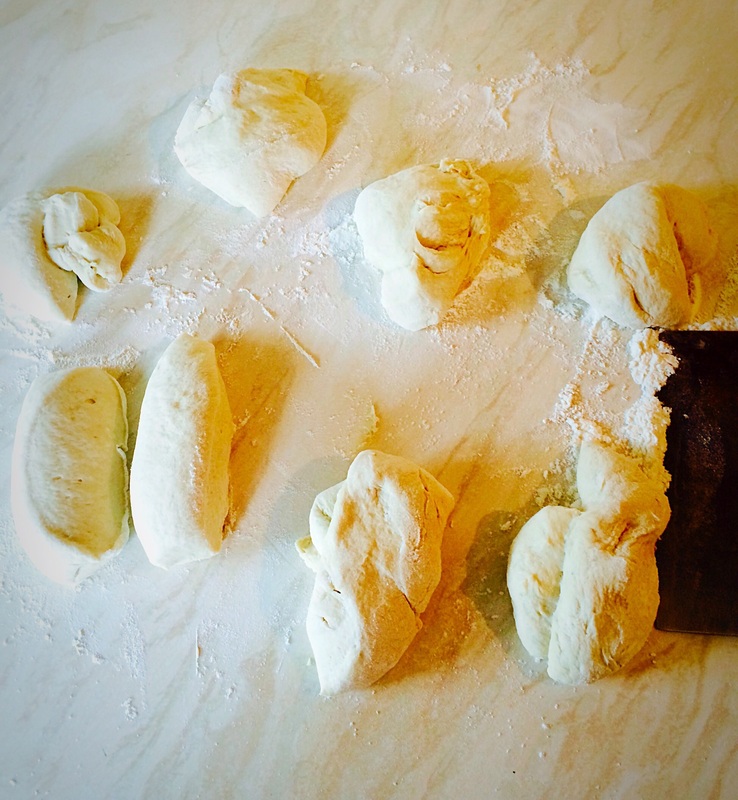 Kneading can be very therapeutic, especially after a stressful day. 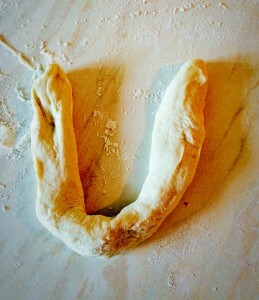 In fact my Grandma always taught me to make bread when I was angry and pastry when I was relaxed. I do believe there is some truth in that. 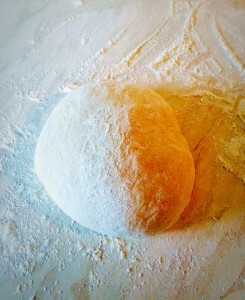 It is almost imossible to over knead bread by hand and if making pastry by hand, you really do need the lightest touch. 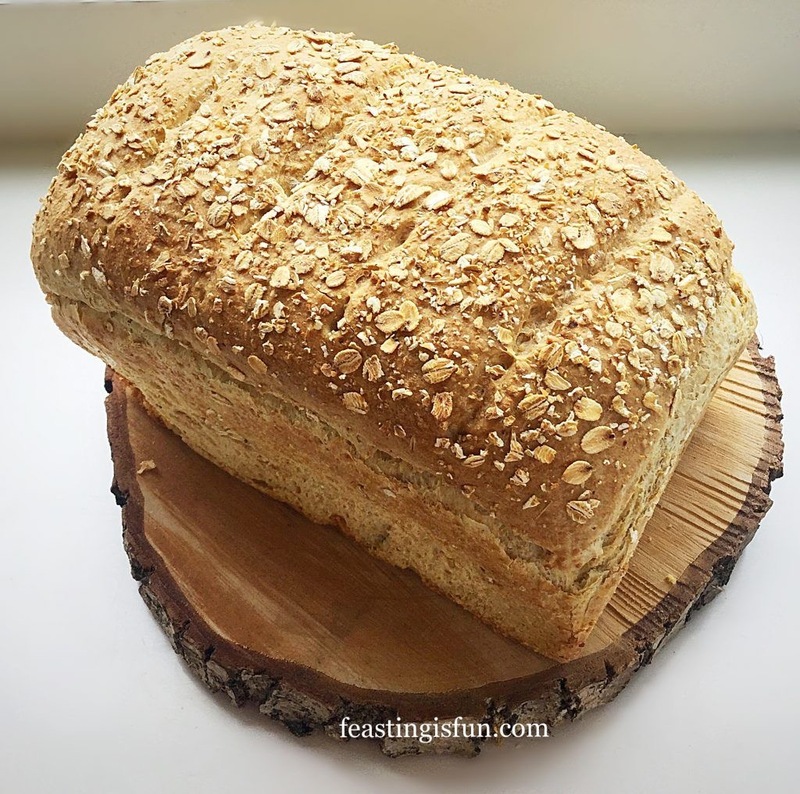 Unfortunately, my health being what it is at the moment, if I didn’t have a machine to perform the kneading for me, well then very little bread would be made in this house. 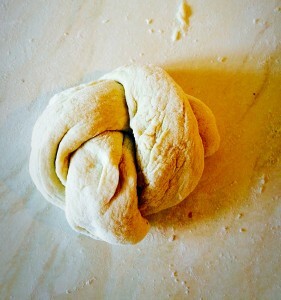 Making these rolls gave me a real ‘hands on’ experience with the dough, rolling, shaping, figuring out which way to tie the knot. 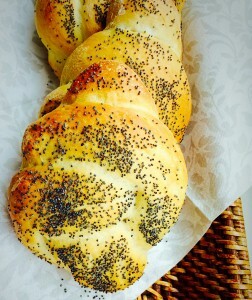 Trust me, if you can tie a knot, you can certainly make these Knotted Poppyseed Rolls! 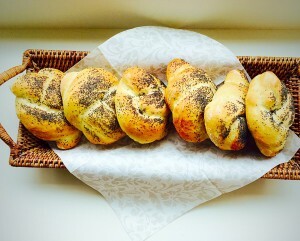 These rolls would be perfect for making with children. 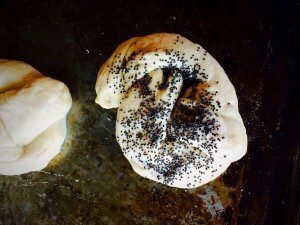 Grown up play-doh that you can eat once baked – although check for allergies before adding the poppyseeds. I suppose, like cupcakes, rolls have the appeal of a whole individual portion. Whilst I like a slice of cake as much as I enjoy a slice of bread, having a home baked roll, all to myself, feels indulgent. 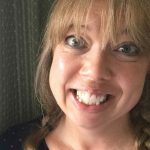 I know this site is all about sharing, so just make sure you make plenty and everyone can share in their own, individual way!! 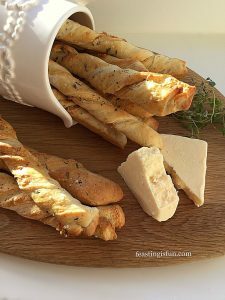 Place the water, yeast and honey in the bowl of a bread maker or stand mixer – with dough hook attached. Place the butter and salt on top of the flour. If using a bread maker, set the cycle to dough and start. For a stand mixer, mix until the ingredients come together and then continue to mix for a further 5 minutes on a medium speed. 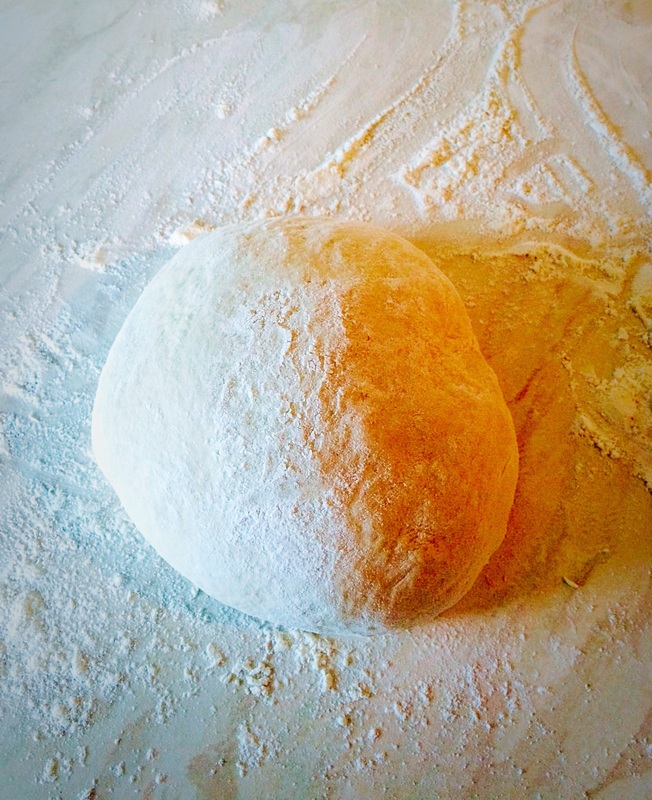 Stop the mixer, remove any dough on the hook and place into the bowl, cover with a damp cloth until the dough has doubled in size – approx an hour. 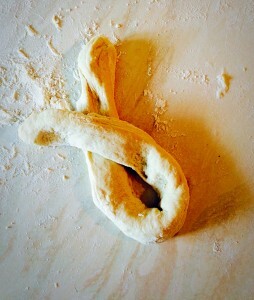 Once doubled in size, remove the cloth and mix again for 5 minutes as before – this will knock back the dough. 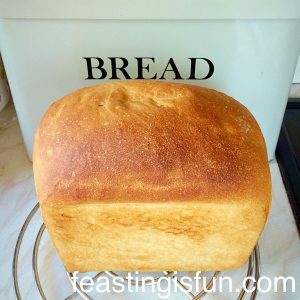 Once the dough cycle has finished on the bread maker, start it again and allow to mix for 5 minutes to knock back the dough. Whilst the dough is knocking back, lightly grease 2 baking trays with a little butter. Roll a portion of dough out with your hands. Form into a horseshoe shape. Take the right side and cross it over the left side. Bring the left side under and through the centre. You will have made a knot! If it doesn’t work first time don’t worry, it took me a couple of practices to get it right. Just re-roll the dough and start again. Place the rolls onto the baking sheet, as each one is formed. Space well apart, I placed 4 rolls on each sheet. Brush milk over the surface of each roll. 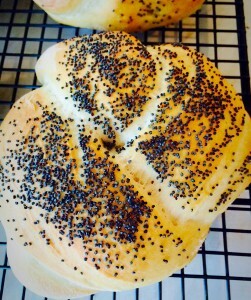 Sprinkle poppyseeds over each roll. Cover both trays with a clean tea towel and leave the rolls until doubled in size – about 1 hour. 10 minutes before the rolls are ready to bake preheat the oven to 220C/200C fan. 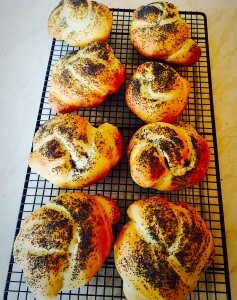 Once doubled in size, remove the tea towels and bake for 15 minutes, until golden. 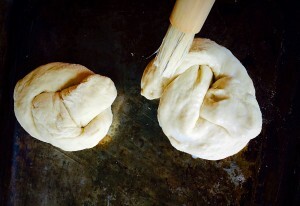 To test if the roll is baked, rap your knuckle against the base, if it is baked it will sound hollow. Allow the rolls to cool. They can be eaten warm with butter, or cool completely if adding a filling. 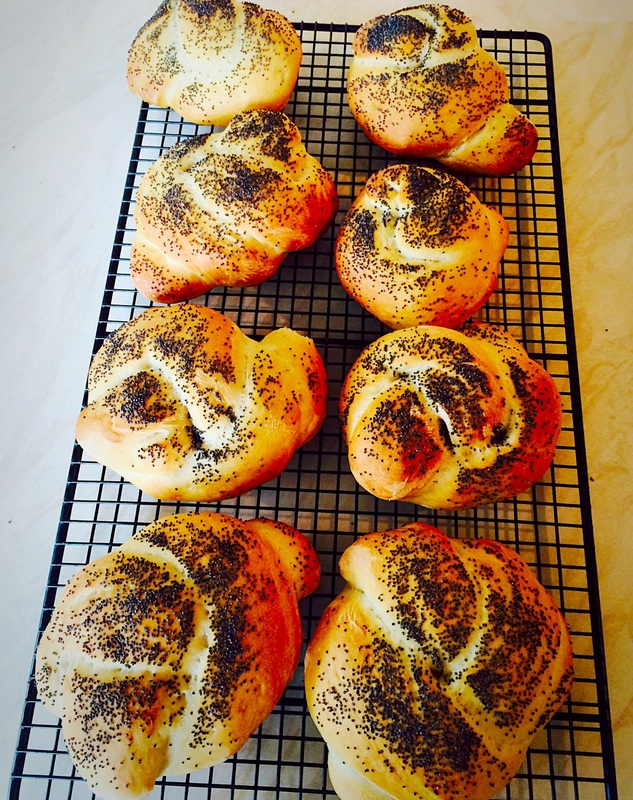 These Knotted Poppyseed Rolls freeze beautifully and as they are best eaten withing 2 days of baking, just pop any extra into a freezer bag and freeze for up to one month. 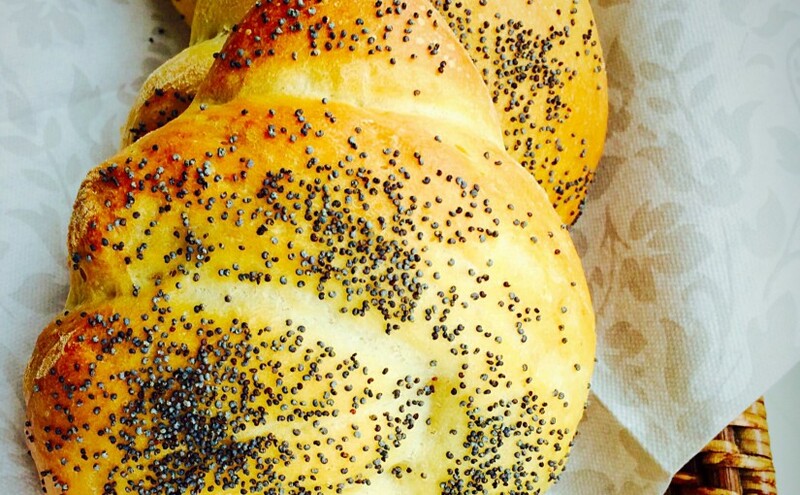 How do you like your rolls, warm with butter, filled with your favourite ham/cheese, or both? oe it really looks delicious! These look gorgeous and would be perfect for entertaining. I always tend to make my rolls plain, but I have made knots before and they really aren’t very difficult, so I should take a leaf out of our book and make a little bit of an effort next time.